Forgot your password? Not a member yet? Click here to sign up. As many as 50% of officer deaths in some years can be attributed to behaviors that are controllable, including fitness, emergency driving, and the wearing of seat belts and body armor. How can police culture be invaded in a manner that will change risk-prone behaviors and ultimately reduce deaths and injuries? 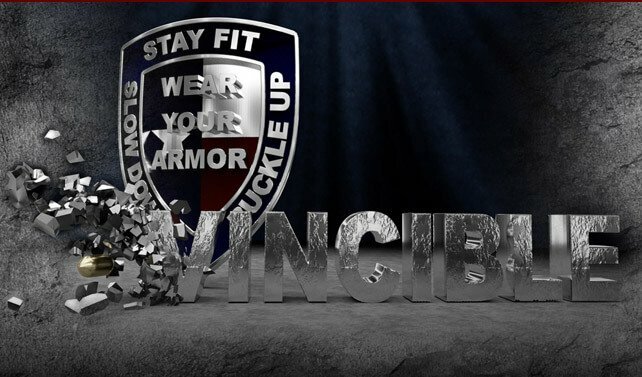 How can agencies remove the IN from INVINCIBLE and thereby remind their officers that they are VINCIBLE? 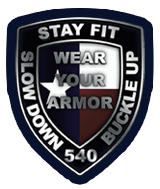 The answer lies in the adoption of 5 Cornerstones: Wear your Vest; Wear your Belt; Watch your Speed; Stay Fit; and 540. These cornerstones are communicated through weekly roll call trainings created and communicated by the Texas Police Chiefs Association (TPCA) Officer Safety Committee. They support Best Practices and require agencies to consider tactics in addition to policies and procedures. The program is free for participating Texas agencies. The TPCA Foundation through the VINCIBLE Program is working to make the safety initiative spread across the nation. Starting with the Law Enforcement Only Roll Call Presentations, you can share with your agency and others the importance of officer safety. To receive the Roll Call information, please email info@texaspolicechiefs.org, or click "Get Involved."